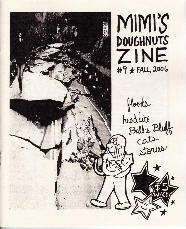 The Making Of…24 Hour Comic, Mimi’s Doughnuts #9 (Fall 2006), and Mimi’s Doughnuts #10 (Winter 2006-7). 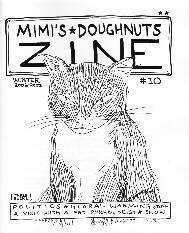 Read an interview with Marek and a review of Mimi’s Doughnuts #10 in our ‘Articles’ section. Marek will be at the Trees & Hills table (S32, upstairs) at MoCCA June 23-24 in NYC. 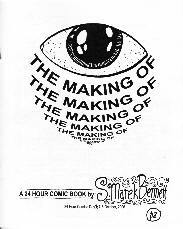 Matt takes the unique approach of mostly using and manipulating rubber stamp images to make his comics. We have Walking Man Comics Presents Special #34: Myths And Magic, WMCPS #7: New England Patriot, Musicomics #1: Sink Or Swim, Musicomics #7: You Know Who, and Musicomics #13: Saturday Dreams. There are also more Articles: Stephen Bissette‘s interviews with Center For Cartoon Studies Fellow Gabby Schulz (aka “Ken Dahl”) and CCS graduate Colleen Frakes, plus 2 more Fleen columns by Anne Thalheimer.